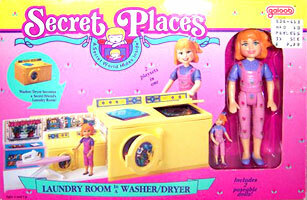 "A Secret World Hides Inside!" 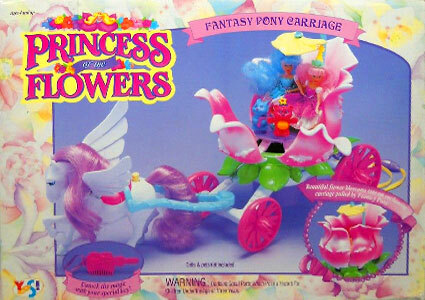 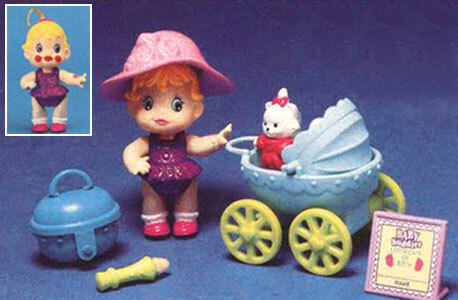 Secret Places were produced by Galoob in 1990-91. 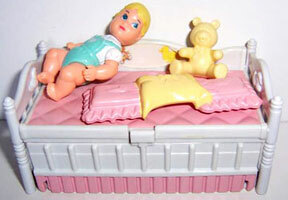 They were a series of small dolls with came with am identical tiny dolls. 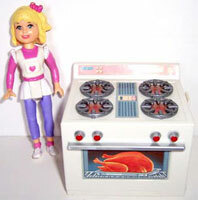 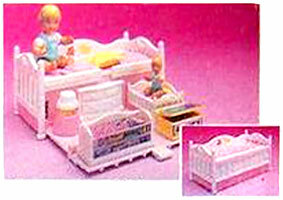 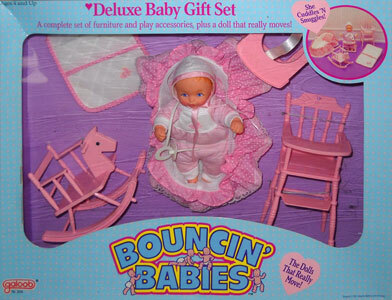 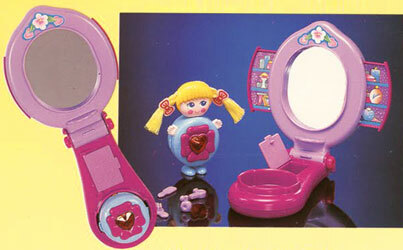 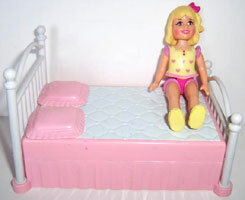 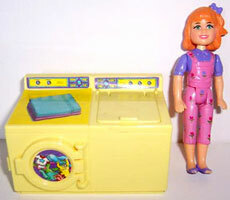 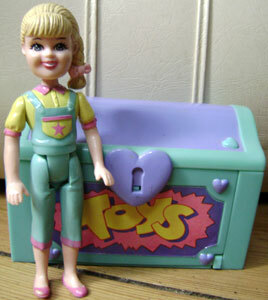 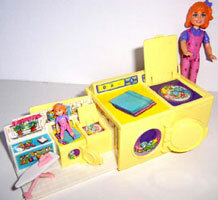 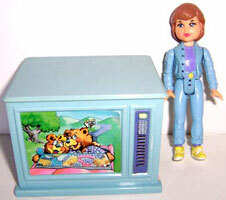 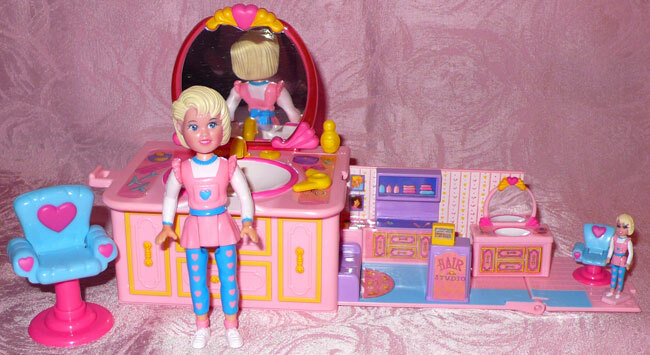 Each pair came with a furniture playset which when closed was the right size for the larger doll, and when opened revealed a whole room for the smaller doll. 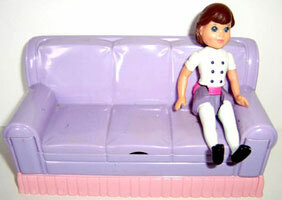 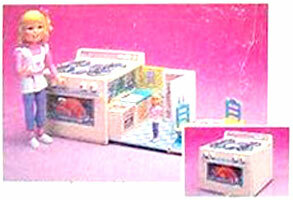 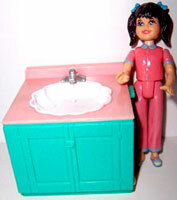 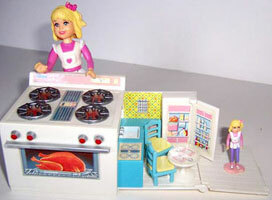 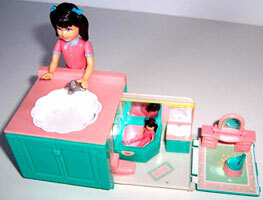 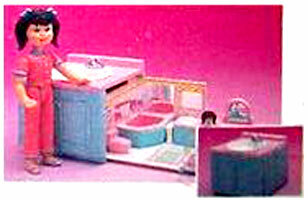 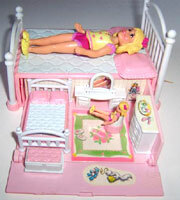 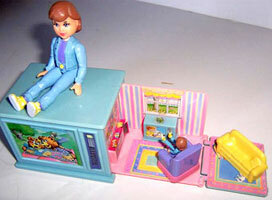 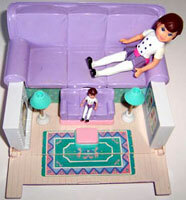 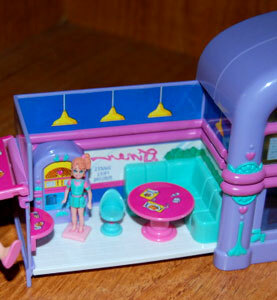 There were also some playsets produced, which were rooms to place the furniture in. 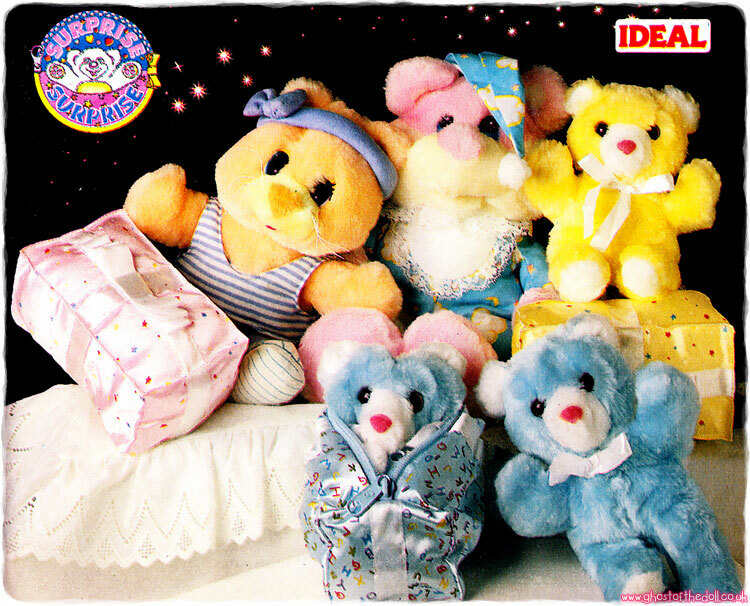 Images on this page thanks to Rhi, Elisabetta, Alpenfieber and betsybluebeans! 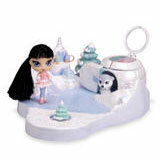 "Now you can share a secret with your own secret friends who hide in Secret Places! 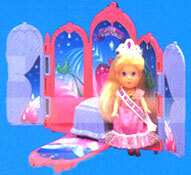 Secret Places playsets include 2 dolls - one doll with her own piece of beautiful doll furniture - and hidden inside is another doll with her own secret play world. 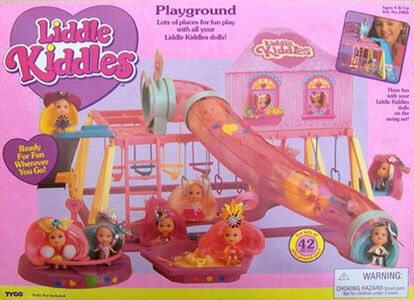 With Secret Places you have a whole secret world of secret friends just waiting to be discovered!" 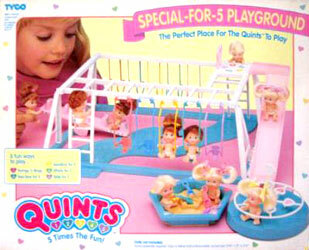 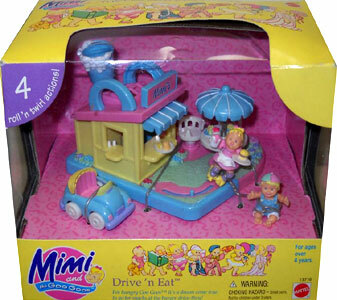 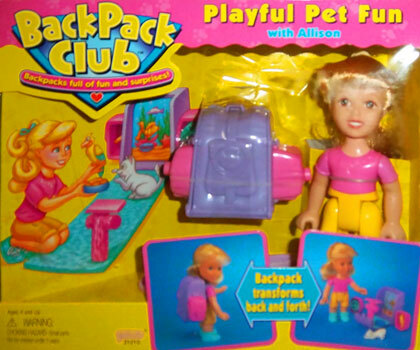 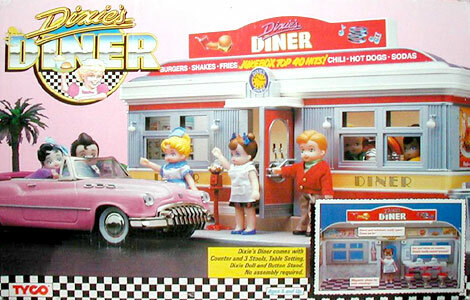 Five new playsets were added in 1991, all of which are harder to find than the first ten. 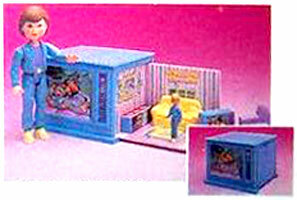 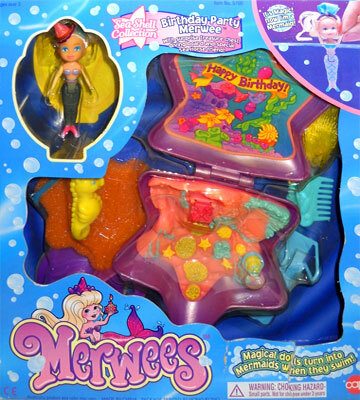 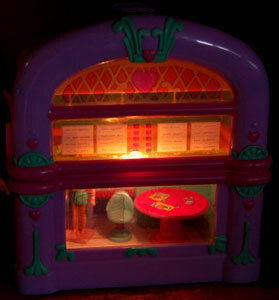 There were three Secret Playrooms with Accessories produced. 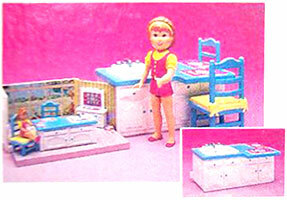 Each one came with one Secret Places playset. 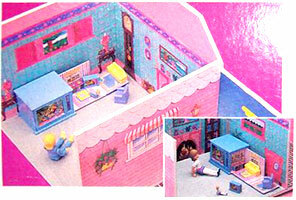 "5-room, 2-level home for Secret Places dolls and playsets." 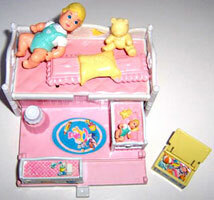 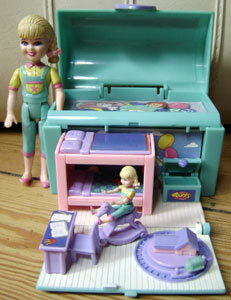 Do you have an image of the Secret Play House? 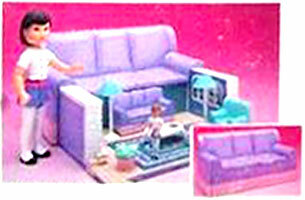 If so please email me an image or description! 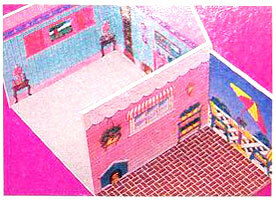 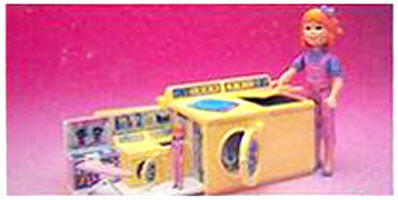 The 1991 Galoob catalogue showed images of three Secret Dreamland playsets. 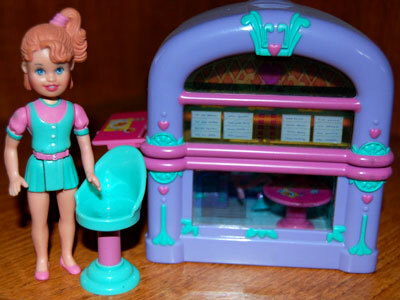 They were were musical and had an edifice large enough to accommodate the 4" doll, plus a pull-out "Dreamland" with a 1 1/2" doll & some pretty nifty accessories. 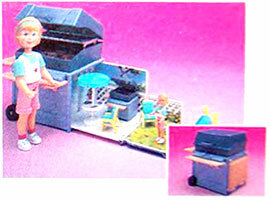 Do you have an image of the 1991 Galoob catalogue playsets, or even the playsets themselves? 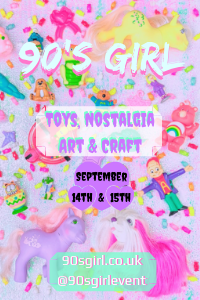 If so please email me an image!